The desire to leverage simulation in the pre-CAD stage of design. The vendor community’s need to conduct long-term research but yet the trouble they have in justifying the long-term expense. The difficulty of keeping up with the latest advances in computing technology. TechNavio’s forecast for the CFD market (18.23% CAGR through 2019) implies that the market will see significant moves toward cloud-based and CAD-integrated CFD tools. NX simulation results. Image from Siemens PLM. Slides and video from the recent NIA CFD seminar on “Towards Aerospace Design in the Age of Extreme-Scale Supercomputing” are now available online. NASA’s Pleiades supercomputer has been upgraded and should be able to achieve 5.35 petaflops on its 210,000 cores and 719 TB of memory. Prior to this upgrade, Pleiades was ranked 11th on the list of the world’s fastest computers. Cloud computing provider UberCloud announced the availability of ready-to-use packages for ANSYS Fluent, ANSYS CFX, CD-adapco STAR-CCM+, and OpenFOAM. The call for abstracts is open through 17 April for the 15th FLOW-3D European Users Conference to be held 2-3 June in Nice, France. Keynote speakers for the NAFEMS World Congress include representatives from BMW, Old Dominion University, MIT, Volvo, and Continental. 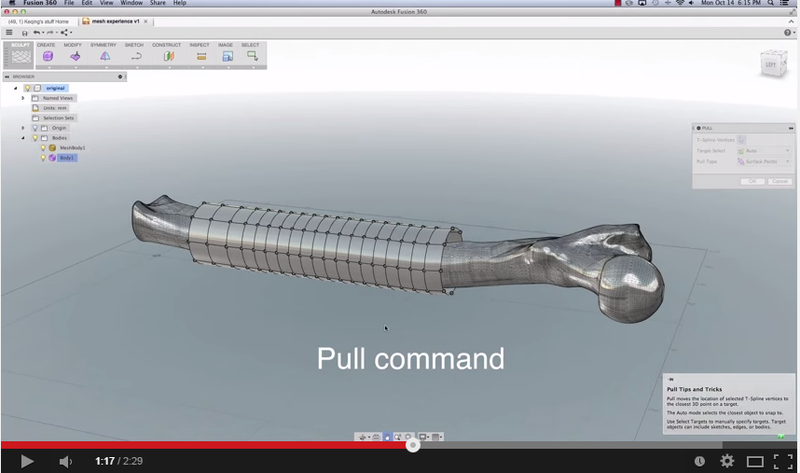 Screen capture from a video about Autodesk Fusion 360. See link below. In this video [with rockin’ 80s electronic music soundtrack] Autodesk presents “a whole new meshing experience” with Fusion 360. 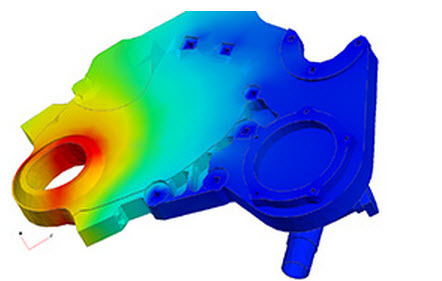 Moldex3D CADdoctor imports, cleans, and simplifies CAD geometry for plastic molding. Here’s the best of the visualization web for December 2014. CFD is being used in waste water treatment. The Sauber F1 Team will be using HP’s HPC products for their CFD. Exa seeks a Senior Software Engineer – CFD Software Development in Burlington, MA. GE seeks a CFD Engineer in Turkey. ANSYS 16.0 was released with major improvements and new capabilities for CFD. Image from ANSYS. Click images for article. ParaView 4.3.1 has been released with many new features and a completely revamped user’s guide document. Applied Math Modeling released CoolSim 4.4 for data center cooling. OpenVSP 3.0.3 was released. This release is primarily a bug-fix version of the parametric aircraft geometry software. New to me: ZephyCFD, open source software for wind energy. C3D Labs released version 16 of their geometry kernel. Friendship Systems published Practical Shape Optimization Using CFD and has made it freely available on their website. If you ignore my poor attempt at a provocative section heading, you’ll be open to the faceted wonder that is kinetic artist Klemens Torggler’s Evolution Door. The door consists of two quad panels that are diagonalized. With just the lightest touch the door transforms to open or close the path to the next room. See the artist’s website for more information but you must absolutely watch this video of the door in action. Soon my office will be too full of faceted objet d’art. 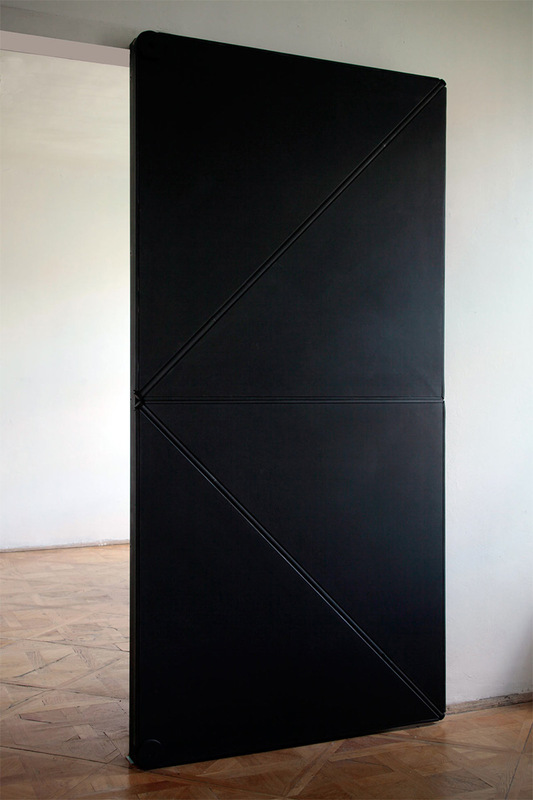 The Evolution Door by Klemens Torggler. Image from LorenzLammens.com. This entry was posted in Applications, Events, Hardware, News, Software and tagged ANSYS, Autodesk, C3D, CFX, Coolsim, FLOW-3D, Fluent, FRIENDSHIP-Framework, Fusion 360, jobs, Moldex3D, NAFEMS, NX, OpenFOAM, OpenVSP, ParaView, Siemens PLM, STAR-CCM+, visualization, ZephyCFD. Bookmark the permalink.